Most of us have heard the expression, “good enough for government work.” This is generally accepted to mean that the work is substandard but acceptable to the government. Ironically, the phrase originally meant the opposite: it implied that the work could withstand the highest scrutiny. When it comes to developing electronic components for the military, the original meaning of the expression is certainly more accurate. The high bar for quality required for military grade electronic components means additional considerations for military grade PCB design and development that exceed what is necessary for other applications. 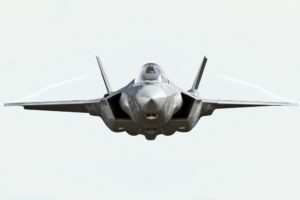 Fortunately, the military’s expectations for electronic component suppliers are well-defined in the form of standards, including AS9100 for quality management. Knowing which standards are pertinent will enable you to incorporate steps into your PCB design and development process to ensure that you meet or exceed the quality level required for military grade electronic components. As one of the first organizations to utilize and rely on electronic components, the U.S. military has been concerned with ensuring the quality of electronic systems and components since the mid-1900’s. Unfortunately, the explosion of consumer products and associated OEMs in the last decades of the century also led to increased instances of counterfeit components finding their way into military systems. In response, various safeguards and standards have been put into place. Nevertheless, as late as 2010, securing the component supply chain was still a significant problem. As part of the National Defense Act of 2011, the Defense Department received new impetus to address the integrity of the military grade electronic components problem. The most significant result of this effort is probably the Supply Chain Hardware for Electronics Defense (SHIELD) program launched by the Defense Advanced Research Projects Agency (DARPA). The SHIELD program is a sophisticated approach to supply chain management that calls for manufacturers of integrated circuits (ICs) to install a dielet inside the package that could be read using a probe that is attachable to a smartphone. Each IC package would contain a data encryption engine with power supplied via the probe. Additionally, each chip would be tracked by GPS with the location verified against a database. These measures would provide several safeguards against tampering or component removal. The SHIELD program, which should be ready for testing in 2019, should provide protection against counterfeit components making their way into the supply chain for military systems. However, there are additional performance and testing standards to which military grade electronic components must adhere. Below is a listing of standards that are particularly applicable to components that are commonly installed on PCBs. The lists above contain only a subset of military standards that specifically deal with common PCB components. For more information on standards that may be applicable to your organization for supplying the military, please refer to the Defense Standardization Program. When designing PCBs that will be used in military systems, you must take steps to ensure component quality. This includes validating that components are authentic, meet performance criteria and pass testing regimens. Besides meeting these military-grade electronic components requirements, you need to ensure that your board’s manufacture and PCB assembly meet standards surpassing those for consumer products. The best way to accomplish this is by taking steps to select a contract manufacturer (CM) with critical systems expertise that can help you optimize your component selection. # 1 – Familiarize yourself with standards and develop a plan to ensure component integrity and institute component authenticity protocols. # 2 – Familiarize yourself with performance criteria and install a quality management plan that includes methods to ensure that standards are met. # 3 – Familiarize yourself with testing requirements and design and implement a testing regimen that meets the requirements as part of your quality management plan. # 4 – Engage a CM with the capability to manufacture PCBs that meet military standards; including assisting you with component procurement, if necessary. Tempo Automation is the leading PCB prototype manufacturer in the industry and is capable of meeting your critical system board fabrication and PCB assembly needs, including performing design testing, if required. We follow a strict quality management protocol intended to ensure the highest quality for your boards and can assist you with optimizing your component selection. If you are ready to have your design manufactured, try our quote tool to upload your CAD and BOM files. If you want more information on PCB design considerations for military grade electronics components that impact the manufacturing of your board, contact us.